Ok, I feel the need finish writing about Germany and to get onto the Balkans given I’m now sat in a hostel in Zagreb in Croatia having just done 4 days in Slovenia. As a result, here is my final post on Germany, which is more of a summary of quick travel tips than anything else. I think I will make a new section of the webpage to keep these on. Also – I now have a Facebook page. You can like it by clicking this link, or the one on the left hand side of the page. Doing this makes me feel important and loved. 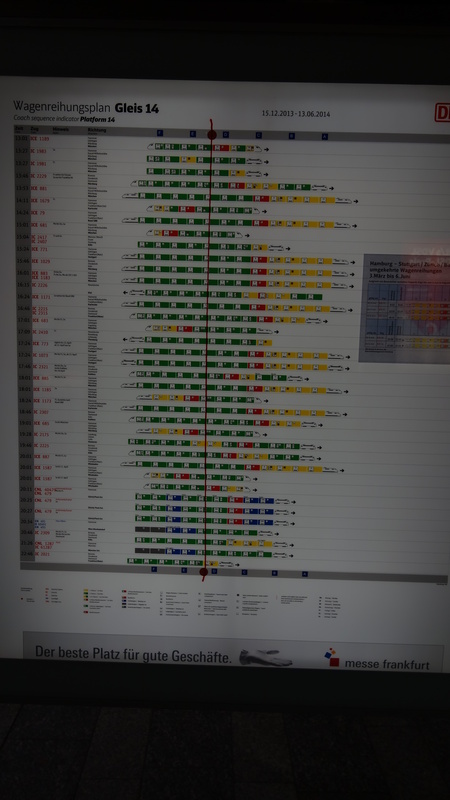 The trains are clean and efficient and there are cool features such as posters on each platform showing how long each train departing is going to be and which carriage will stop where. Never stand in the wrong place for your train again! 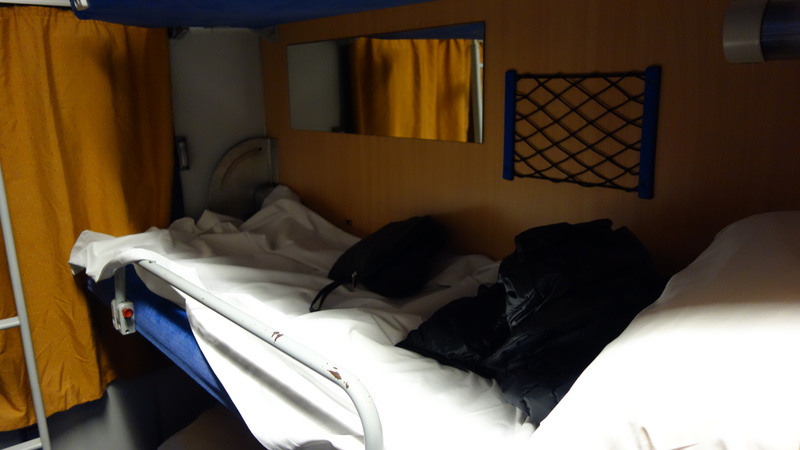 No-one seems to talk to each other on the sleeper trains but booked in advance they are good value, especially if travelling at weekend when the price of accommodation tends to increase. (Quite dramatically in the case of hostels). If possible, book the top bunk (more space) or the bottom, (closer to your stuff). I got stuck in the middle bunk, which is fine enough but not as good. 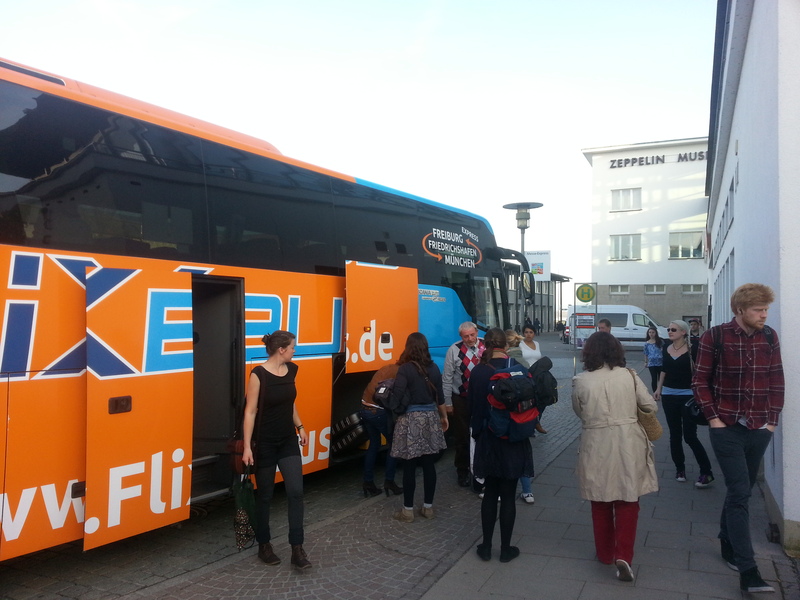 The best way to actually get between different German cities is actually probably the bus. There are a plethora of bus companies offering cheap and relatively comfortable ways of getting between cities. Everyone it seems wants to run a bus company. I travelled with Flixbus and Mienfernbus,but there are also companies run by the German railways and for some reason, the German Post Office? But whoever they are owned by they are the cheapest way of getting around. For example, a bus booked the day before departure for Berlin from Munich cost me 17 Euro. The train would have been close to 10 times as much. The buses also come with free wi-fi, although in my experience it was sometimes a bit suspect. In the actual cities, in Berlin and Hamburg, getting a day ticket for the local transport is likely to be a good idea. For Munich, unless you are going to Dachau you can get everywhere by walking. 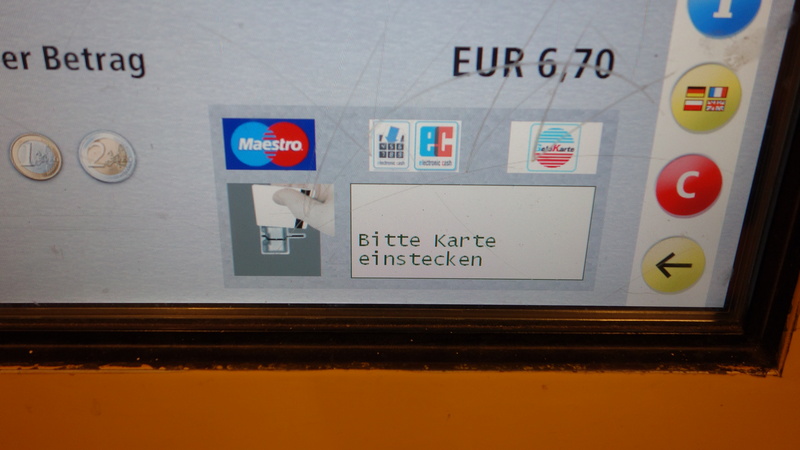 This is in a way annoying as Munich has the best transport system of the 3, and most importantly the ticket machines actually accept Visa and Mastercard. Day tickets in Munich also work out really cheap if you are in a group of up to 5. If you are going to a football match, get your ticket in advance and print it off, this will act as your local transport ticket for the day. Who the hell has a Maestro card? Foodwise, I’m happy to report that the best kebabs continue to remain in Berlin, that the Currywust is very good in Hamburg, and that in Munich it will be filling and washed down with litres of beer. In Munich after a while you will definitely get sick of beer and pork and potato dumplings. An interesting tip is that in some of the beer halls, you can only order litres of beer after 6pm. No half litres. A good way round this is ordering the wheetbeer which does come in halves. Museums and places of interest almost all seem to have information written in English, even if it’s just a summary of lengthier German text. Generally people’s knowledge of English is high, although to be honest, for most travel needs you only need to be able to understand German numbers, and remember your pleases and thankyou’s without having to resort to shouting English loudly…. So, that was Germany, Hopefully I will get on to post something more interesting about my time in Slovenia shortly. Remember, you can like the page here, or sign up to receive email updates on the right. Think of my ego!